Dexby Townhouse Bed & BreakfastThis new boutique guest house is in the heart of cardiff offers luxury accommodation, Dexby town house is a lovely victorian building just outside the heart of Cardiff. 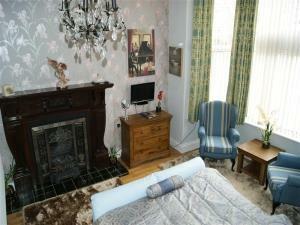 It has been recently refurbished and tastefully decorated, and is currently under new management. Dexby town house is a family run bed and breakfast on cathedral road which is a 10 minute walk from the centre of cardiff. Attractions within walking distance of the guet house include the Milenium Stadium, Swalec stadium, Cardiff City football ground and the world renowned Cardiff castle and the Cardiff International Arena.